Since 1991, Downers Grove Township has been administering a substance abuse and violence prevention program targeting youth ages 10 to 18 within the Township boundaries. The Township encompasses the villages of: Burr Ridge, Clarendon Hills, Darien, Downers Grove, Hinsdale, Westmont and Willowbrook. 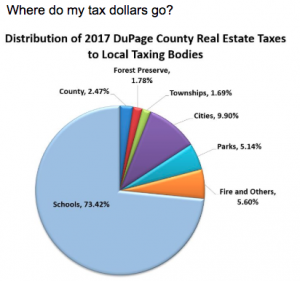 Every year, Downers Grove Township works with schools to fulfill their program requirements. We utilize model prevention programs, coordinate and promote community and school prevention events, develop communication campaigns for parent, resident and youth outreach and participate in the development and maintenance of community coalitions to help inform parents and youth about the dangers and consequences of using and abusing substances. Peer-led Prevention Education Life Skills Program – A prevention leadership program that provides life skills education with a focus on alcohol, tobacco and other drug information. This program is unique because Township teen leaders that apply, complete trainings, and participate in other school leadership programs present the content to the 6th, 7th and 8th grade students of participating schools. Promotion of Illinois Youth Survey across the Township and County. Snowflake – A day long event for seventh grade students that explore leadership and communication skills, healthy decision-making, substance abuse prevention and how to resist negative peer influences. Snowflake is a spring activity that supports the 7th grade students at O’Neill Middle School, Herrick Middle School, Lakeview Junior High, Jefferson Junior High and participating private schools. Other drug prevention activities, as requested, by local schools or community organizations.